Mouse anti Human complement C3 antibody recognizes the complement C3, also known as C3 and PZP-like alpha-2-macroglobulin domain-containing protein 1, C3a anaphylatoxin, acylation-stimulating protein cleavage product, ASP or epididymis secretory sperm binding protein Li 62p. Complement component C3 plays a central role in the activation of complement system. Its activation is required for both classical and alternative complement activation pathways. People with C3 deficiency are susceptible to bacterial infection (provided by RefSeq, Feb 2009). 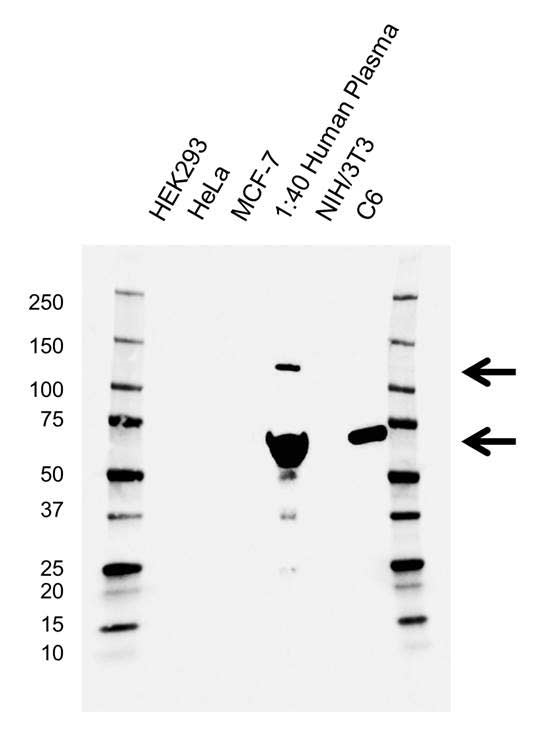 Mouse anti Human complement C3 antibody detects bands of 115 and 68 kDa. The antibody has been extensively validated for western blotting using whole cell lysates.